The White House has announced its partial opposition to a new bipartisan trade bill because of a portion of the legislation that would strengthen the U.S.-Israel economic relationship, according to a statement issued late Thursday. The Trade Facilitation and Trade Enforcement Act of 2015, which the White House says it mostly supports, overwhelmingly passed on a bipartisan vote. "The president intends to sign H.R.644 into law to help strengthen enforcement of the rules and level the playing field for American workers and businesses," the statement reads. However, a portion of the bill that seeks to enhance U.S.-Israeli economic ties drew criticism from the White House, which announced that it would not support these new provisions. The White House did not explicitly express its opposition to any other part of the comprehensive trade legislation. Congress directed in the bill that the U.S. government work to strengthen its economic ties with Israel and boost efforts to combat international boycotts of the Jewish state. The Obama administration’s rejection of this effort comes on the heels of a controversial memo mandating that the U.S. trade community label Jewish goods produced in disputed areas of the West Bank. Elements of the pro-Israel community and many in Congress objected to this order, claiming that it encourages boycotts of the Jewish state. The Obama administration separately has endorsed a European Union effort to label Jewish goods, a policy that Israeli leaders have described as patently anti-Semitic in nature. Congress moved earlier this week on legislation that would facilitate divestment from anti-Israel companies by state and local governments. The White House, in its latest statement, expressed opposition to certain congressional efforts aimed at combatting the Boycott, Sanctions, and Divestment movement, also known as BDS, which aims to wage economic warfare on Israel. "As with any bipartisan compromise legislation, there are provisions in this bill that we do not support, including a provision that contravenes longstanding U.S. policy towards Israel and the occupied territories, including with regard to Israeli settlement activity," the White House said, referring to efforts to stop the labeling of Jewish goods. One senior congressional aide who works on these issues expressed surprise at the administration’s statement, saying that it goes out of its way to single out Israel. "This administration never misses an opportunity to take a swipe at Israel—even if it means criticizing bipartisan anti-BDS measures passed unanimously in the House and Senate," the source said. "Don't fall for any White House doublespeak: Opposing efforts to combat BDS equates to supporting BDS. That's why history will show that President Obama actively advanced a movement solely aimed at delegitimizing the State of Israel." 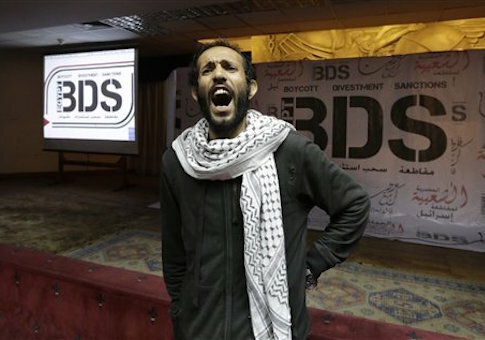 The bill seeks to combat the BDS movement. Congress "supports the strengthening of United States-Israel economic cooperation and recognizes the tremendous strategic, economic, and technological value of cooperation with Israel," the legislation states. It goes on to support "efforts to prevent investigations or prosecutions by governments or international organizations of United States persons on the sole basis of such persons doing business with Israel, with Israeli entities, or in Israeli-controlled territories," according to the legislation. Additionally, Congress extends support to "American States examining a company’s promotion or compliance with unsanctioned boycotts, divestment from, or sanctions against Israel as part of its consideration in awarding grants and contracts and supports the divestment of State assets from companies that support or promote actions to boycott, divest from, or sanction Israel." The legislation also mandates that the United States work to eliminate "state-sponsored unsanctioned foreign boycotts against Israel or compliance with the Arab League Boycott of Israel by prospective trading partners," according to the bill. Additional portions of the legislation direct U.S. trade partners and companies that may have been participants in efforts to boycott Israel to disclose such behavior, particularly the labeling of goods produced by Jews in the West Bank. This entry was posted in Issues and tagged Israel, Obama Administration, White House. Bookmark the permalink.